The Spotted Necked Otter (Hydrictis maculicollis formerly Lutra maculicollis) is fairly widely distributed in sub-Saharan countries, from Senegal to Ethiopia and down to South Africa, but their detailed distribution is not fully understood. The African Clawless Otter (Aonyx capensis) has the widest distribution of all the African otters although it is mostly absent in the Congo basin. However, that does not mean it is common in any part of its range and the breeding biology and wild behaviour is not well understood. The Congo Clawless Otter (Aonyx congicus) has a very patchy distribution in the Congo Basin and little is known about its ecology and biology. Most of what we do know about their behaviour has been learnt through the care and rearing of orphaned cubs in the Democratic Republic of Congo (DRC). The Eurasian Otter (Lutra lutra) has the widest distribution, being found throughout Europe and Asia, but in Africa it is only found in the north. Although it has such a wide distribution numbers are still declining throughout its range. These are all listed in the IUCN Red List. The Eurasian has been classified as “Near Threatened” since 2004 and in 2015 the other three species were upgraded to “Near Threatened” from “Least Concern”. There are strong reasons to suspect numbers continue to decline, largely due to increasing human population. In fact the actual reassessment process highlighted the lack of modern information and that a lot of the data is over 25 years old. The information on historic distribution is broad but they are confined to permanent water systems and require good shoreline cover for permanent residence. Although some work has been done in countries including Gabon, Tanzania, DRC, Cameroon and Kenya, more research is needed on all of the African species and at present we do not know anything about sub-species or regional differences. 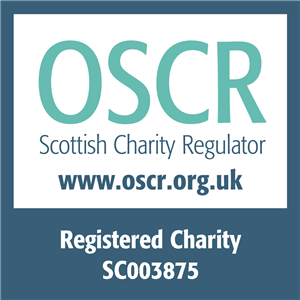 We need much more information, particularly on distribution, so if you see an otter please click here to give us the details of your record. Read more about their distribution in individual countries. There are many global issues which are affecting our wildlife today - habitat loss, pollution, climate change and all the problems associated with poverty. In addition, otters also face conflict with fishermen who view them as a problem because they take fish and damage nets – these are expensive losses to a poor family reliant on fishing as a livelihood. In some areas otters are hunted for fur and traditional medicines. At the workshop we heard of many ways that body parts are used, such as the eyes for eye infections, skin to ease childbirth, bone for fever and the meat to cure infertility. There is even a belief that the skin can deflect bullets! Some of these beliefs are ancient and a part of the tribal culture so it is difficult in these circumstances to change attitudes, but by working within the community it is possible to show that such practices are no longer acceptable. 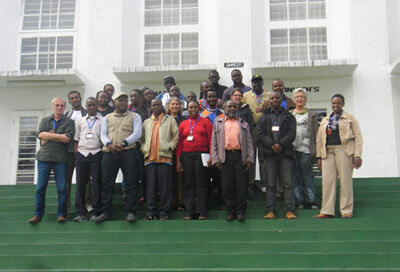 In July 2015 IOSF held a training workshop at the College of Wildlife Management Mweka, Tanzania, and people came from ten sub-Saharan African countries - Benin, The Gambia, Ghana, DRC, Ethiopia, Kenya, Malawi, Rwanda, South Africa and Tanzania. Read the report here. We have to create more awareness of otters in Africa and in order to do this the African Otter Network has been formed. Within two weeks of the workshop new data was already being received. In 2005 possible spotted-necked otter spraint was found at Lake Manyara, Tanzania, but their existence has now been confirmed by a sighting. They have also been seen at Lake Kivu in Rwanda, and otter signs have been found at Liparamba Game Reserve, Tanzania, although as yet the species has not been confirmed. A Facebook page has now been set up for people to post photographs of otters and their signs, linked to a confidential form for more detailed location information. More information on the African Otter Network. IOSF has also been supporting the Kikongo Otter Sanctuary. The team of Rita, Glen, Delphin and Sico were responsible for rearing two Congo clawless cubs and they also work within the community to encourage conservation. Shortly after the workshop they received another cub. Delphin and Sico decided to name the cub “Mweka” after the Tanzanian workshop. Education work in schools and with local fishing communities is developing, particularly in Tanzania and Kenya, and people in Benin also want to start work there. So positive things are happening in Africa. Education – in schools, fishing communities, etc. Research – more information is needed on otter distribution and threats so that the next update of the Red List will be based on recent information. You can support this work by donating at www.ottershop.co.uk – please put “AFRICAN OTTERS” in the message box. For more information on African Otters contact us at enquiries@otter.org.